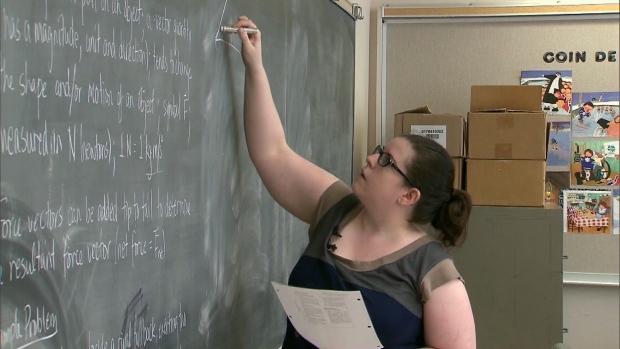 A teacher writes on a chalk board in this file photo. Premier Doug Ford warned teachers Tuesday not to "pull this strike nonsense," with a likely challenging round of bargaining set to start as soon as this month. "Before the ink was even dry on election day they declared war on us -- the unions, not the teachers," Ford said after an announcement in Markham.